But here's something you may not have considered: you are forming habits, unconsciously, all the time. It's what your brain does. Habit formation is one of the ways intelligent life forms "get smart." Imagine what a bummer it would be to wake up each morning and have to relearn all your skills and routines all over again - how to tie your shoes, how to brush your teeth, how to make coffee, how to drive a car - and on and on. Thank goodness your brain doesn't work this way. 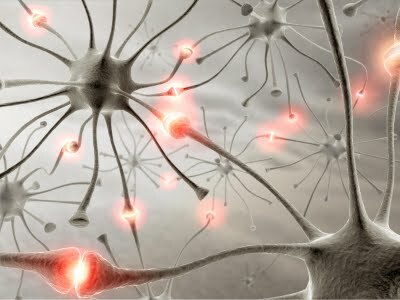 Instead, when you repeat an action over and over, the brain cells are stimulated to grow dendrite filaments that connect all the brain cells related in the action. Once connected, this physical network hard-wires your brain to perform the action successfully without having to think about it. You can think about it and do something else if you want to. But you don't have to. Habits greatly simplify your survival. Call it a habit, call it a skill, call it a routine. Whatever you call it, it's yours, man. Yours for good because it's now a PHYSICAL circuit in your brain. But you need to remember that your brain makes no judgments about whether it's a GOOD habit or a BAD habit. It just does what it does, and you end up with this funny urge to do it whenever the situation arises. And as I said, it could be ANY behavior pattern whatsoever, from a totally trivial routine to the kind of habit that can kill you. The Big Secret: You can control which habits you create. After you've repeated an action only two or tbree times, you're already well on your way to establishing a new habit. So...if you can recognize that you're doing something for the second or third time, you can evaluate whether this is a habit you really want. 1. Stop a negative behavior pattern in its tracks. It's a 100 times easier to prevent a habit from forming than to try to break it after it's ingrained. Just realize you're doing it and stop doing it. Do something else. End of habit. 2. Consciously construct a positive behavior pattern. Just start doing it and keep doing it and after a while it will become an automatic routine. You have the power to notice what's happening in enough time to easily change the game. Imagine the success you can create for yourself if you do. I teach an instrument. I preach this all the time with making practicing a habit. It's not the amount of time it's the frequency.